On this episode, I hangout with Abdul Rahman Ibn Muhammad and we chat about dream chasing. Abdul-Rahmaan I. Muhammad aka Dream Chaser #1 lives by the motto, “Never Stop Dreaming”. After spending two years on dialysis due to kidney failure, he vowed that if ever given the opportunity to chase his dreams again, he would never waste another day. Three hours a day, for three days per week in a dialysis center provides an individual with a lot of time to think about all the things they wish they had done with their life. Since receiving a kidney from his sister, Ayesha on August 8, 2001, Dream Chaser #1 has enjoyed traveling to China, Africa, Costa Rica, Dominican Republic and Mexico to name a few countries, going on adventures like bungee jumping, skydiving, jet packing and bull riding, writing books and recording spoken word CD's and starting businesses; namely, My People Clinical Services . 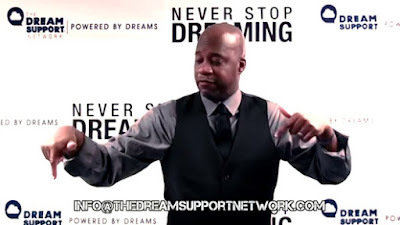 In 2011, The Dream Support Network was developed as a new business to take dream chasing to the next level by helping other individuals to chase their dreams and support them in the process of making their dreams reality. The Dream Support Network conducts The Dream Chasers Workshop, Dream Consultations and opportunities for Dream Chasing Adventures. Each initiative supports our mission, "To support, encourage and inspire individuals to live the life of their dreams". 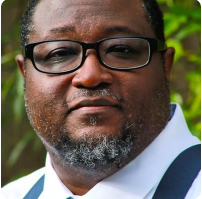 Since The Dream Support Network began, Dream Chaser #1 has encouraged and help cultivate hundreds of Dream Chasers through The Dream Chasers Workshop, continues to chase his dreams and support other Dream Chasers in there dream chase. Muhammad received his Bachelor of Arts degree from Tougaloo College, in Tougaloo, Mississippi and received his Masters in Social Work degree from Clark-Atlanta University in Atlanta, Georgia. Muhammad is married to his beautiful wife, Dayeshell and is the proud father of three children, Aminah, Amirah and Amir.